Compact underground waste container equipment. The most economical and reliable solution for the collection of municipal solid waste (MSW). These containers have a capacity of 3.000, 4.000 or 5.000 litres and are made of galvanized steel (ensures high resistance to corrosion). There is an option in which the container of 3.000 litres is made of HDPE high-density polyethylene. 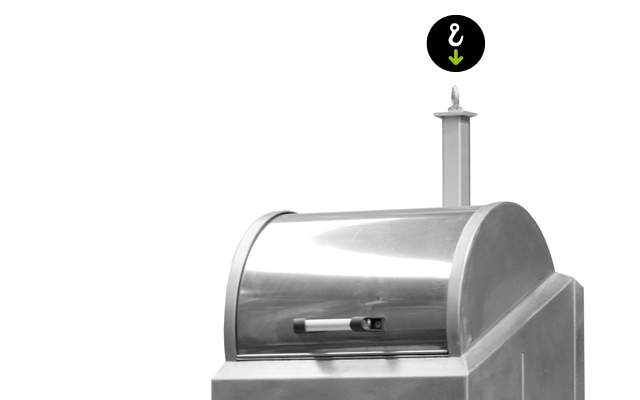 The reception bin is made entirely of stainless steel and it has a capacity up to 125 litres and it is designed for the required type of selective collection. 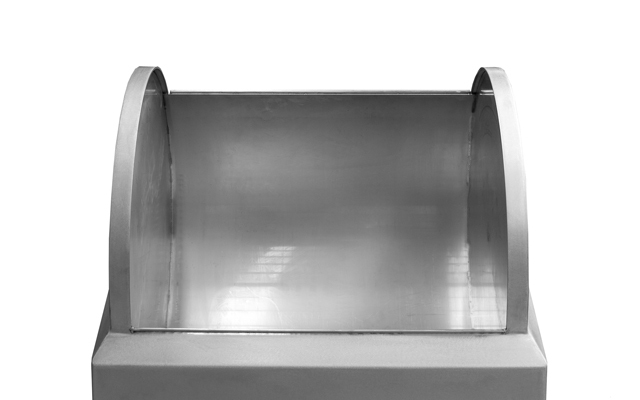 Made entirely of stainless steel and it has a capacity up to 125 litres. 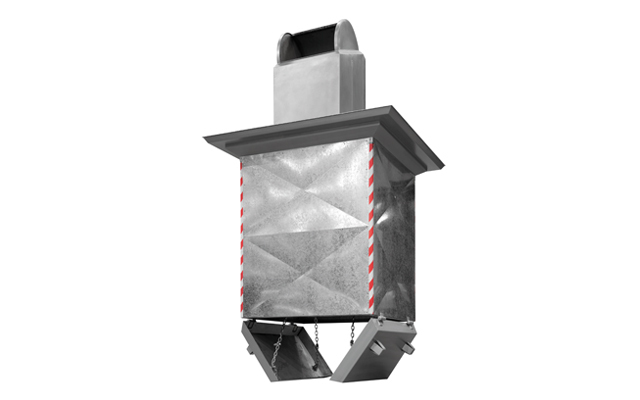 The reception bin of each equipment is designed for the required type of selective collection, thereby ensuring that the waste go to the corresponding container. 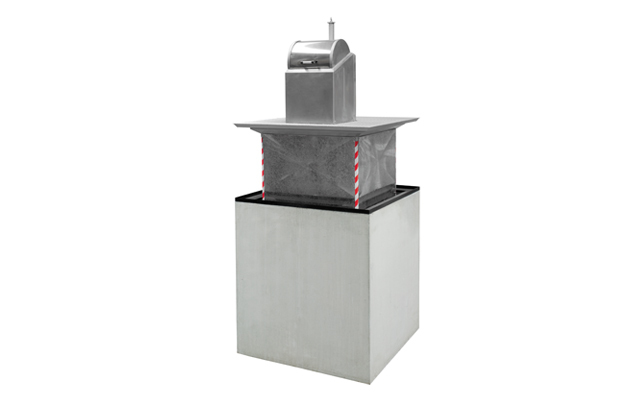 Industrial reception bin with a capacity de 160 litres. Plate design for each reception bin to be chosen by the client. 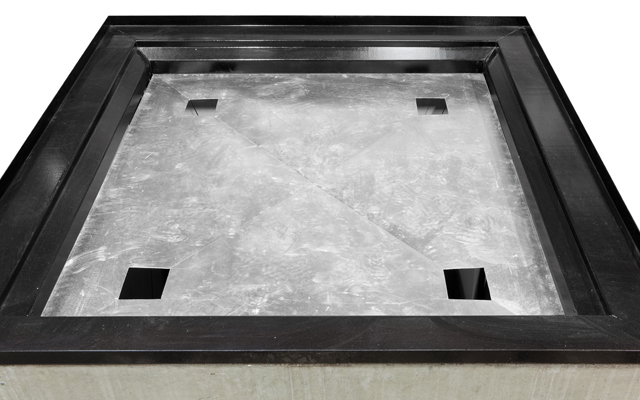 or 5.000 litres and is made of galvanized steel (ensures high resistance to corrosion). 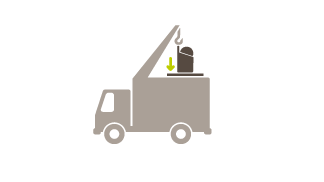 The bottom has one or two stainless steel trays to collect the leachate which allow emptying it directly to the truck. Painted lid made of carbon steel with imprimatura. 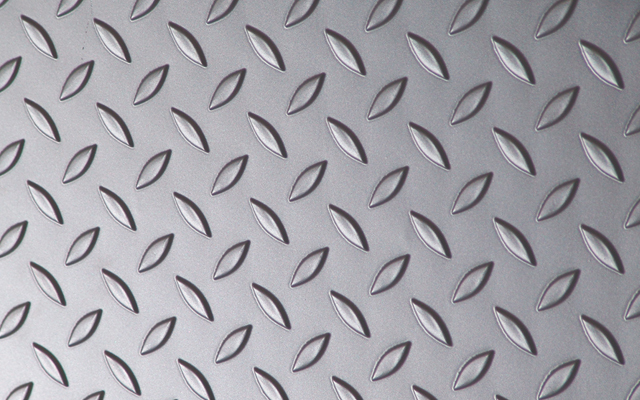 The top part is made of aluminium grid plate (non-slip) and it is joined with the container. The structure base is built with rectangular profiles, which makes a compact and shock-resistant container. Lid ready to be paved. Manufactured with vibrated and armoured concrete which allows housing the compact container equipment inside. In order to facilitate the assembly, the equipment includes a galvanized framework that delimits the end of the civil work. Anchor point on the top of the reception bin for the extraction of the equipment. 120 kg of weight). Made of galvanized steel. 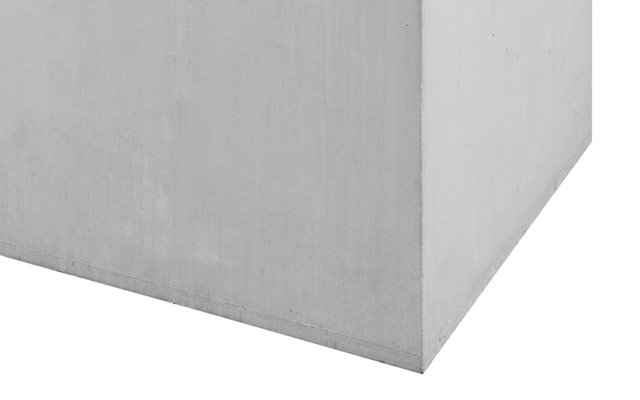 This platform includes an inspection input to access the bottom of the concrete precast in case it is necessary to do any maintenance or cleaning work. Entirely mechanic system without electricity or hydraulic mechanisms. on the model and the containers used.